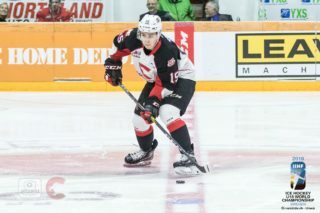 The Prince George Cougars (8-8-1-2) are back home after a weekend split against the Vancouver Giants, as they get set to open a five-game home stand. Tonight, the Cougars face another B.C. Division rival, the Kelowna Rockets (8-12-0-0) at the CN Centre. It’s a key divisional match up, as just three points separate the two teams, with the Cougars sitting in third and the Rockets fourth. The Cougars do have a game in hand on the Rockets too. 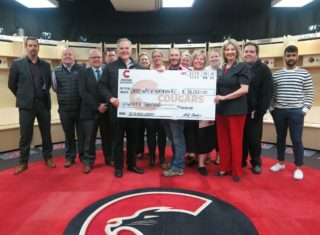 COUGARS PRE-SCOUT: The Cougars blanked the Vancouver Giants 1-0 on Sunday afternoon in Langley. Ethan Browne scored the only goal in the game, a power-play goal in the first period, and Isaiah DiLaura made 26-saves for his first career shutout. The Cougars have been excellent defensively in the last handful of games. Going back to November 2nd against Seattle, the Cougars have conceded just three goals in their last four games. The Cougars have shutouts in two of their last three games as well. Through 19-games this season, the Cougars are on average surrendering 2.84 goals per-game; pretty stingy. Speaking of goaltending, DiLaura is 2-1-0-1 in his last four-games, boasting a .947 save percentage; he’s surrendered just one goal in his last two starts. Josh Maser has eight-points (4-4-8) in his last nine games. Vladislav Mikhalchuk has eight-points (2-6-8) in his last six-games; he’s eight assists shy of matching his high from last season (19). The Cougars are 2-1-1-0 in four games against the Rockets this season. Tonight, is meeting number of five of nine in the season series. Ryan Schoettler leads the Cougars in scoring against the Rockets, with five-points (3-2-5) in four-games. 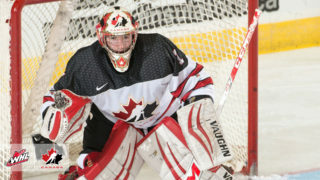 Taylor Gauthier has played all four-games against the Rockets. After a slow start, the Cougars power-play is starting to come around. In the last five-games, the Cougars have six power-play goals, as the man-advantage is operating at 25-percent over the last five games. ROCKETS PRE-SCOUT: The Rockets are playing their fourth game of a six-game road trip. It started south of the border last weekend, with games in Seattle and Portland. The Rockets won 3-1 Friday against the Thunderbirds, but lost back-to-back games against Portland on Saturday (3-0) and Sunday (4-2). After tonight, the Rockets travel to Alberta to face the Red Deer Rebels and Edmonton Oil Kings on the weekend. Kyle Topping leads the Rockets in scoring with 25-points (8-17-25) in 20-games, followed by Leif Mattson (8-12-20) and Nolan Foote (11-5-16). Topping (2-4-6) and Mattson (3-3-6) lead the Rockets in scoring against the Cougars. Foote and defenceman Lassi Thomson also have three-goals against the Cougars this season. Speaking of Thomson, he is the top scoring defenceman in the WHL with 16-points (7-9-16) in 20-games. Rookie Roman Basran appears to have assumed the number one role in goal for the Rockets. 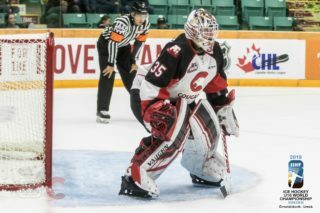 Basran has played in 14-games this season, posting a 6-8-0-0 record, to go along with a 3.24 goals-against average and a .895 save percentage; he’s started four of the last six-games for Kelowna. Basran and James Porter have split the four-games against the Cougars and each have similar numbers. Make the Rockets Chase: Despite their below 500 record, the Rockets have been a very good at protecting a lead. The Rockets are 5-0-0-0 when leading after the first and 6-0-0-0 when leading after the second. On the flip side, the Rockets are just 2-12-0-0 when trailing after 20-minutes and 1-10-0-0 when trailing after 40-minutes. On their last home stand, the Cougars were guilty of squandering third period leads. They need to find a way to get out ahead on the Rockets and make them chase. That can force them to start taking chances and that can lead to mistakes and in turn, opportunities for the Cougars. Energy: The Cougars are playing a well travelled Rockets team tonight. Kelowna started their six-game road trip last Friday in Seattle, then it was down to Portland for two games, then they bussed all the way up to Prince George. They’ve had a day and a half to rest but the Cougars have to find a way to jump on what could be a road weary Rockets group. Kelowna to their credit have been statistically better on the road (5-6-0-0) than at home (3-6-0-0) but they’ve travelled quite a bit in the last five days. Can the Cougars find a way to pounce early? Special Teams: This season series has been so close already with three of the four games essentially decided by one goal, if you take out empty-net goals. The special teams have practically mirrored each other, with the Rockets scoring three power-play goals and the Cougars two. The last time these two played, special teams was the difference, as the Rockets scored three power-play goals, including the overtime-winner. With how these teams match up, a power-play goal may be the difference between a win or loss.